Our family’s story began on May 8, 2004, the day Nathan and I promised to love and cherish each other for the rest of our lives. As I made my vows to him, I hadn’t the faintest idea how our lives would change just over five years later through the birth of our daughter, Madelyn. In fact, neither of us envisioned ourselves as the “having babies” type. Our plan was to work hard, retire early, and enjoy the extra money we wouldn’t be spending on things like daycare, diapers, and college funds. A few years into our marriage, I began to reconsider my stance against having children. Some of our friends started having babies, and I wanted that sweetness in my own life. Nathan was still no where near ready to even consider the idea of children, but he did let me get a cat. I enjoyed the new, furry member of our family, but she did little to squelch the desire that had sprouted in my heart for a child. In late August 2008, I thought for a few brief days my wish had come true in the form of a surprise. My usually very predictable menstrual cycle was late, so I decided to take a pregnancy test. To my surprise a second line, albeit faint, appeared. I went straight to Google to see what I could find on faint lines, and everything I read said a line was a line. I was scared to tell Nathan as I knew this wasn’t something we had planned, but I was beyond thrilled. That dream all too soon slipped from my fingers the next morning when the test was no longer positive. Several tests later, I came to terms with the fact that I wasn’t pregnant. I still don’t know if I ever was – I later discovered that the brand of tests I was using is notorious for making people think they are pregnant. I’ve even read stories of men getting positive tests with this brand! Regardless of what happened, I was crushed. Yet something positive was born of the experience: spending a day thinking we were going to be parents changed both of us. Nathan realized that he wanted to have a baby after all, and we decided we would start trying to do just that after I finished my Masters degree in December 2009. In January 2009, our plans were once again interrupted, as I discovered I was pregnant. While it was a surprise, we had been careless with prevention, so we weren’t nearly as shocked as we had been five months before. My previous experience made me cautious: I tested again every single day, multiple times a day, for over a week. Yet this time, it was different. Instead of disappearing, the second line got darker with each passing day. I went to the doctor for a blood test, and it showed that I was indeed pregnant with a due date of October 8, 2009. My first trimester was easy enough, although I was constantly worried about miscarriage, eating the right foods, and following the pregnancy manuals I had collected to give my baby the healthiest start I could. I had an ultrasound at 7 weeks that showed everything was as it should be, but that the baby was measuring as due October 11 instead of October 8. Being an avid cycle charter, I knew this could not be correct. However, ultrasounds can be wrong by up to a week either direction, so no one was concerned except for me. I had another scan in my 13th week, when my OB was unable to find the heartbeat at my regular appointment. He said that it was still early, but authorized an ultrasound for my peace of mind. Thankfully, the ultrasound immediately showed our baby’s tiny heart beating as it should. Yet, once again, I noticed a few things seemed to be off. This ultrasound was giving us a due date of October 13, meaning our baby was measuring even more behind schedule. I also noticed the “black area” around the baby wasn’t as large as in other ultrasounds I had seen. I later learned this was amniotic fluid. Our baby also did not move even once during the ultrasound. However, none of these things were severe enough to cause anyone concern. I was again reminded that ultrasounds can be wrong by up to a week, and I was told that sometimes babies do sleep during the ultrasound exams. Nothing was said about the amniotic fluid – it must have not been low enough for the doctors to worry. My next ultrasound, the one that changed my life, was at 19 weeks 5 days, on May 19, 2009. I remember being very nervous the previous night. Even though I was small, I had not been feeling the baby move. We had heard the heartbeat several times via Doppler, so we at least knew she was alive. I was also concerned because at my OB appointment at 16 weeks, my doctor mentioned she was much lower than most babies were at that stage in pregnancy. He wasn’t concerned, but pointed it out simply because it took him much longer than usual to find her on the Doppler. However, Nathan reminded me that everything was probably fine. We had made it past the first trimester, and the chances of anything going wrong halfway through a pregnancy were slim. When we were called into the ultrasound room, all of my fears were diminished as soon as we saw our baby’s beating heart on the screen. But then the ultrasound technician stopped what she was doing to tell us she needed to go get a doctor. While hearing those words was a little unsettling, we just assumed she needed help with something. The ultrasound technician returned a few minutes later with a nurse practitioner who took a quick peek at the ultrasound screen, and then proceeded to tell us that our baby was measuring 3 weeks behind schedule and there was basically no amniotic fluid. They told us we were being sent to the Perinatal Center, which is where people go with high risk pregnancies. They couldn’t get us in for several hours, so we had to wait. At this point I was beyond scared and in tears. They escorted us out through a private entrance so we wouldn’t have to walk back through the waiting room in front of all the other happy pregnant women full of excitement: the type of woman I had been not even an hour earlier. After what felt like an eternity, it was finally time for our next appointment. It didn’t take long to confirm what we had already been told: our baby was too small and there wasn’t even enough amniotic fluid to measure. They also told us there was probably a heart condition, and I needed to go to a pediatric cardiologist once the baby was a little bigger to get more information about that. We were then whisked away to speak with a genetic counselor, who educated us on various fatal chromosomal disorders. The biggest cause of concern was the lack of amniotic fluid. In the womb, babies swallow amniotic fluid, and doing so helps their lungs develop. Without it, it was very likely our baby would need NICU care after birth, even if everything else turned out fine. We chose to focus on the small chance that she would be fine. We were told our baby could die at any time, we could carry her to term only to have her die afterwards, she could live, but with severe disabilities, or there was the small chance she could live and all would be fine. The chance that all could be fine was the only thing that kept us going through that day, and through the months ahead. I was sent home and ordered to go on bed rest and drink lots of water for two weeks, at which point they’d do another ultrasound to see if the amniotic fluid levels had increased. If so, it was likely that I was leaking fluid. If not, then we’d know the issue was probably with the baby and not with me. It was a long two weeks, but finally the time came for my next appointment. We were told things had not improved. They sent me back to work on modified bed rest, and made plans to see me bi-weekly until our baby reached one pound in weight, which is the smallest size at which they can save a baby outside the womb. At that point, we would have a few more options. Over the next month we lived from appointment to appointment. We went to the pediatric cardiologist during this time and it was determined our baby had an AV canal defect, which is most frequently associated with Down’s syndrome, and not the fatal chromosomal defects. However, the small size and low fluid were not associated with Down’s, so neither us nor the doctors could make any sense of it. At 26 weeks, our baby finally reached the weight of one pound. We were given two choices at this point: we could continue with the bi-weekly appointments and me on modified bed rest, or I could be admitted to the hospital where the baby would be monitored constantly. We were told that with so little fluid around the baby, the chances of her going into distress were high. If I were home, we wouldn’t know it, and she would probably die. If I were in the hospital, they’d do an emergency c-section and try their best to save her. After much deliberation, we opted for hospitalization, hoping to give our baby every possible chance at life. On July 3, 2009, I was admitted. While our friends prepared for their Independence Day celebrations, I began what would become an eight-week stay in the hospital. While in the hospital, our baby surprised all of the doctors and nurses. She never showed any signs of distress, and she moved much more frequently than most babies without fluid. She also seemed to be growing: she never regained the three weeks she had lost, but she never fell further behind either. Living in the hospital wasn’t easy, but I was able to find some advantages. The thumping of her heart was my constant background music, and I was given a gift of time to focus on nothing but my pregnancy and my baby. In the eighth week of my hospital stay I was 34 weeks pregnant, and my weekly ultrasound revealed our baby had not grown much in the prior week. Since 34 weeks is typically the normal time to deliver babies in no fluid situations, they decided it was time to induce me. They gave me medications to soften my cervix on August 26, 2009, started me on Pitocin to induce contractions the next evening, and by the morning of August 28, 2009, I was in hard labor. I labored all day without making much progress. After begging and pleading for relief, they finally agreed to let me have my epidural, even though I was hardly dilated. My OB said that if I didn’t progress in a few more hours, he would come do a c-section. Thankfully, the epidural relaxed me, and I finally started making progress. A few hours later, I was ready to start pushing, and at 10:22 p.m., Madelyn Rebecca was born. She was 15 inches long and weighed 3 pounds and 4 ounces. The room was eerily silent as they handed her to the NICU team in my room. All I could do was pray that my baby would live. After about ten minutes, one of the NICU doctors told us things weren’t going well, and if she didn’t improve soon they would let us have her to share her final moments. Things didn’t improve. It felt so surreal as they laid my baby girl in my arms for the first time. Her eyes briefly fluttered open to look at me, and then she closed them again, never to re-open. I couldn’t believe that at any moment, she would breathe her last breath. Nathan and I held her, cried, and then allowed the rest of our family to have that same opportunity. Several hours later the nurse took her so we could get some sleep, and they brought her body back to us the next morning so we could say good-bye one final time before I was discharged from the hospital. Leaving without my baby was the hardest thing I’ve ever had to do. The next week was spent making funeral arrangements. 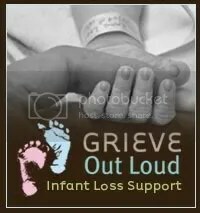 Instead of shopping for the stroller and baby bed we would have needed had she lived, we went shopping for a casket and headstone for her grave – something no parents should ever have to do for their child. The night Madelyn was born, we signed papers authorizing the hospital to do testing on our daughter in an attempt to determine what went wrong. Initial test results showed that her chromosomes were perfect, which surprised all the doctors. Then, several weeks later, the hospital called with our autopsy results. It revealed several problems not seen on the ultrasound, and we were once again sent to a genetic counselor. Based on the new information revealed through testing, our genetic counselor gave us a few possibilities, one of which was a recessive gene disorder called Smith-Lemli-Opitz Syndrome (“SLOS”). In order for this to have been the problem, Nathan and I would both need to be carriers. If only one of us was a carrier, it would not affect our children. We both tested positive, and we had our answer. It was nice to have an answer, but it wasn’t the answer we wanted. When two people carry the gene that causes SLOS, there is a 25% chance in every pregnancy that both affected genes will be transferred to the baby, resulting in the child being affected with this disease. It isn’t always fatal, but it does always come with challenges, often both mental and physical. This greatly complicated our decision about future children. We took several months to decide what we should do next, and then we learned about something called embryo donation. When people go through the process of in-vitro fertilization, they will often find themselves with more embryos than they need. These people are then faced with the decision of what to do with the remaining embryos. One option is to donate them to other families who are either unable to have children on their own or, as in our case, have genetic reasons for not doing so. I did a lot of research on the subject, and we decided this was the path we wanted to take for our next child. In February 2010, I began calling fertility clinics, as I knew embryo donation programs often had long waiting lists. I was fortunate to find a clinic with no waiting list and very high success rates. In April 2010 I began my frozen embryo transfer cycle, and before the month was over I found out I was pregnant again, due in early January 2011. Several ultrasounds later revealed I was carrying a healthy baby boy. We know our journey is far from finished. Every single day I find myself torn between love for both of my babies and the pain that still grips my heart at losing my first. Yet even when my pain is at its worst, I am grateful for the time I had with Madelyn. If given the choice, I would always choose this path, because she was in it, even if only briefly. What a beautiful story. Every life is such a precious gift. It is so uplifting that you and your husband have been open to the gift of life despite your loss. I came across your blog while looking for ultrasound pictures at 8 weeks. My husband and I are expecting our first and have our first ultrasound this week. Reading this blog was a sad yet a beautiful experience. God Bless you and your family. You wrote Madelyn’s story beautifully. She is absolutely lovely and I’m deeply sorry for your loss. I know the pain of losing a child and it’s lifted only in the moments when I remember that I gave birth to a tiny miracle. Madelyn was a miracle too. Your story made me cry, but as Jenna wrote, it is also so uplifting, because you share the beauty of life too. Your sweet heavenly reunion someday will wipe all the pain away. Madeline will have her mommy and daddy back for all eternity. God bless you for sharing your story. And thank you for sharing photos of your handsome little boy! What a huge blessing he must be. you are a very special woman to be able to share your story. I know that it helps those who have gone thru the same situations as well as others who haven’t. God bless you and little Madelyn. Surely she is smiling upon your family and her precious baby brother. I am so sorry for your grief. Peace.